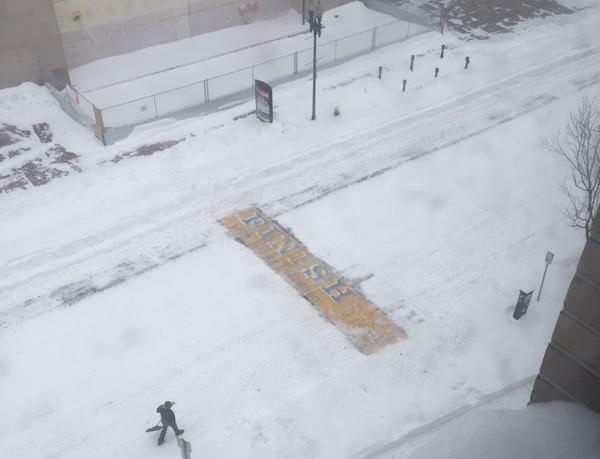 This is the recently shoveled finish line at Boston after Juno ripped through there this week. I'm half way through my training program (that I'm kind of just winging on my own) and it all of a sudden feels like Boston isn't as far away as it seemed after the Brussels Marathon. But I am excited...not something I was planning on feeling after the completion of the aforementioned Brussels where I was feeling anything but excitement at the prospect of doing that all over again on American soil. However, excitement it is! Excited for Boston! Strange.